Coriander, also known as cilantro, Chinese parsley or dhania, is a herb in the family Apiaceae. 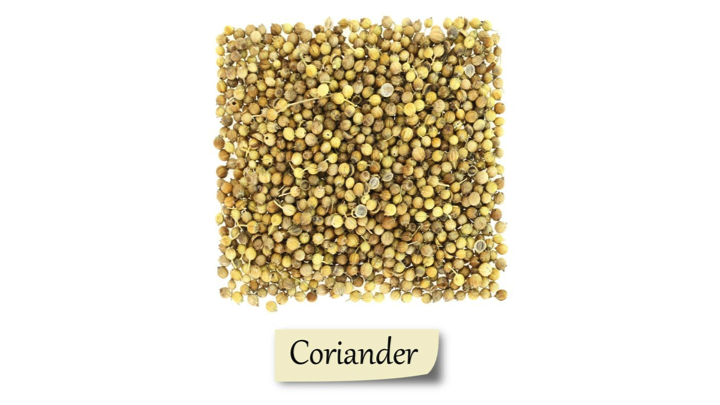 Coriander, also known as cilantro, Chinese parsley or dhania, is a herb in the family Apiaceae. Scientifically known as Coriandrum sativum, the plant is native to the regions of southern Europe, North Africa, and southwestern Asia. The plant is packed with essential oils, acids, minerals, and vitamins. Here are the 7 health benefits of coriander. 1. Coriander may help you manage your high blood pressure. It has been shown that coriander could positively reduce blood pressure in individuals suffering from hypertension. Constituents from coriander interact with calcium ions and the neurotransmitter acetylcholine, relaxing blood vessel tension. 2. Coriander could help you with anemia. Low iron content in the blood can result in shortness of breath, heart palpitations, extreme fatigue, and a decrease in brain functions. Coriander is high in iron, which can reverse some symptoms of anemia. 3. Coriander can help increase bone health. Coriander is a rich source of calcium. Calcium, along with other minerals, can help prevent osteoporosis and protect bone strength and durability. 4. Coriander can protect against mouth ulcers. Citronellol, a constituent in coriander, can clean the mouth. This speeds up the healing process of wounds and freshens the breath. 5. Coriander can help individuals with type 2 diabetes. Coriander shows to increase the secretion of insulin from the pancreas, which then raises the insulin level in the blood. This can help individuals, particularly people with type 2 diabetes, lower the risk of dangerous sugar spikes. 6. Coriander can help prevent and even cure smallpox. Coriander contains essential oils rich in antimicrobial, antioxidant, anti-infectious and detoxifying components and acids can prevent and cure smallpox, as well as have a soothing effect on smallpox patients. 7. Coriander can help individuals with indigestion. Studies have been shown to decrease the occurrence of dyspepsia, or indigestion, when coriander was added into the diet. Kerton, M., Newbury, H. J., Hand, D., & Pritchard, J. (2008). Accumulation of calcium in the centre of leaves of coriander (Coriandrum sativum L.) is due to an uncoupling of water and ion transport. Journal of Experimental Botany, 60(1), 227-235. Rajeshwari, U., & Andallu, B. (2011). Medicinal benefits of coriander (Coriandrum Sativum L). Spatula DD, 1(1), 51-58. Chithra, V., & Leelamma, S. (1999). Coriandrum sativum—mechanism of hypoglycemic action. Food chemistry, 67(3), 229-231.